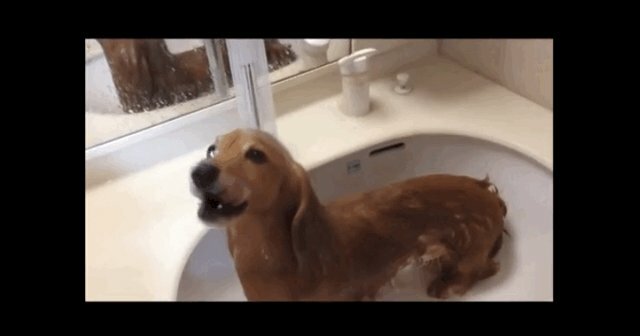 If there's one thing humans love, it's their shower time. After all, showers get you squeaky clean, they're where you do some of your best thinking, and you can't help but feel just a little bit glamorous when you lather in that shampoo. 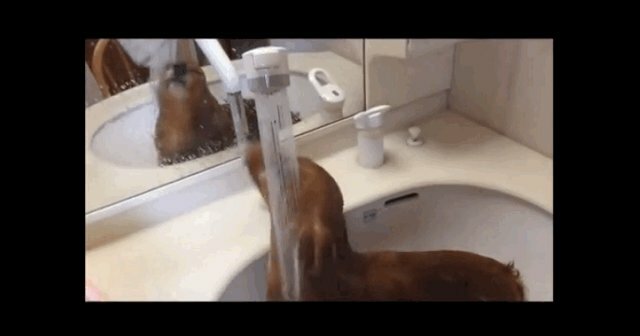 But humans aren't the only ones who love taking showers. 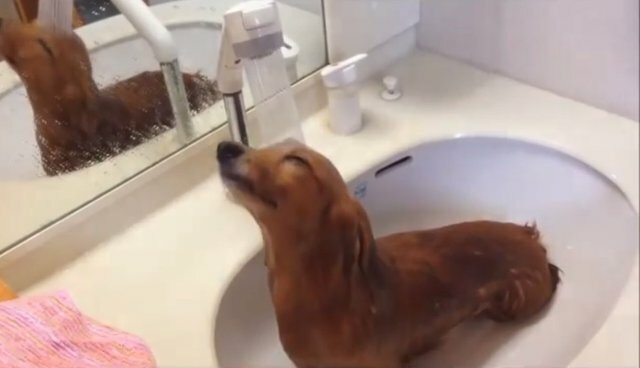 This little Dachshund has found himself in sink-shower nirvana, and he is making the absolute most of it. After all, why should humans have all the fun? He flips his hair just a bit, so there aren't any traces of shampoo - how embarrassing that would be! This pup knows he's basically ready to be in his own shampoo ad. Those silky tresses just won't quit. The glamour cannot be denied. Sorry, no autographs, please.